This blog post is part of the "Tech Talk" series focused on the FirstNet Authority’s standards development activities to support the public safety community needs. This post recaps discussions linked to public safety and other related topics from the 3GPP Plenary meetings that were conducted from March 19-23, 2018 in Chennai, India. The First Responder Network Authority (“FirstNet Authority”) represented public safety interests at the plenary meetings. In the FirstNet Authority’s ongoing effort to keep you informed regarding standards development activities impacting public safety, and following our recent update on the December plenary meetings in Portugal, this blog discusses the latest developments from the 3GPP plenary meetings held in Chennai, India from March 19-23, 2018. The March quarterly meetings addressed standards in several areas relevant to the Nationwide Public Safety Broadband Network (NPSBN) during three separate plenary group meetings. 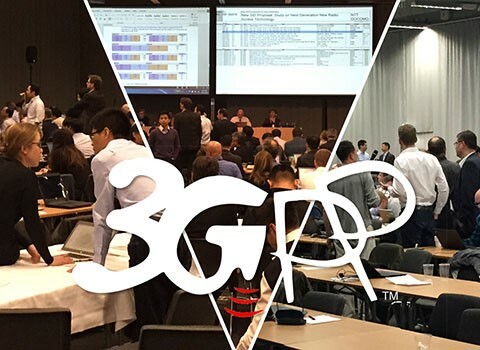 The Radio Access Network (RAN) Plenary— During the RAN plenary meetings, more than 340 global registrants worked tirelessly on all outstanding work items to ensure completion of 5G specifications. As you may recall from our last blog, the Stage 3 specifications for Non-Standalone 5G New Radio (NR) (NR working with legacy 4G core network) were completed in December 2017. Considerable time was spent discussing the timeline for the development of specifications to support the already agreed upon 5G Standalone architectural options. These architecture options consist of combinations of LTE or NR connecting with Next Generation (NG) core networks using a single mode radio. This work remains on schedule for completion by June 2018*. During the meeting, discussion also took place around standardization for additional non-standalone architectural options. These options allow both NR and LTE working together with a 5G Core, but it will require a dual mode radio. The development plan for these options was agreed upon and the work will be completed by December 2018*. The Core Network and Terminals (CT) Plenary – The CT Plenary meeting included over 130 global registrants. The meeting focused on the progress of Release 15 work items, and although the primary focus was 5G, work items related to public safety were included. For example, the Stage 3 work for Release 15 enhancements on Mission Critical Push-to-Talk (MCPTT), Mission Critical Video (MCVideo), and Mission Critical Data (MCData) is in progress with varying degrees of completion. Release 15 also includes the new item on interworking with legacy Land Mobile Radio (LMR), but since Stage 2 for this project was extended by three months, no work has occurred in Stage 3 yet. CT continues to have challenging schedules and resource constraints, so we are working closely with our standards counterparts to ensure that steady progress continues on public safety work. The Service and System Aspects (SA) Plenary—With 175 global registrants, the SA Plenary meeting mostly focused on early progress for Release 16 work items. Since the major push to complete 5G is behind us, SA is returning to a more normal workload with a wide variety of new initiatives and improvements being worked on across all committees. Since Release 16 is just beginning, there was much discussion this week on coordination with other Technical Specification Groups (TSGs), particularly RAN, to ensure that all aspects of system level features are included in each TSG's release planning. We are pleased to report that remaining work on the Stage 2 (architecture development) technical specification describing the architecture for interworking between MCPTT and legacy LMR systems was completed and approved. As you may recall, this project was granted an exception at the last plenary meeting to continue the work for a few more months, and the extension allowed delegates to complete all planned Release 15 Stage 2 work. However, since Stage 3 (protocol development) is getting a late start, it will be challenging to complete all work on the suite of LMR interworking specifications by the original target date of June 2018. We’ll report on progress in our next blog. Work also continued on re-naming the current Mission Critical specifications to remove the limiting "over LTE" wording so existing specifications can be reused for 5G and future generations. Renaming of Stage 1 specifications was completed at the last plenary meeting, and work on Stage 2 Mission Critical specifications has now started with some initial changes completed on titles and references. This work will continue since Stage 2 contains more detailed technical design specifications that will take more time to evaluate and modify to generalize beyond LTE. In addition, new Stage 2 studies have commenced on enhancing both location services and the IP multimedia subsystem (IMS) architecture for 5G. These two study items are important to address public safety needs for location-based services as well as to improve the IMS core performance, a key element in the Mission Critical Services architecture. *This date implies the completion of 3GPP Stage 3 specifications. Typically, Abstract Syntax Notation 1 (ASN.1), a broader standards document language describing the message protocol formats, will take an additional three months from Stage 3 completion.